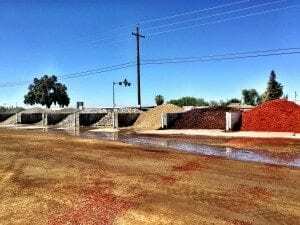 For more than 34 years, Stoney’s Sand & Gravel, LLC has served the counties of Kings, Tulare and Fresno providing stone, sand and gravel products. Family owned and operated, we are a gravel company committed to delivering exceptional service, quality products and the expertise from our knowledgeable and passionate staff. We look forward to assisting you with your next project. 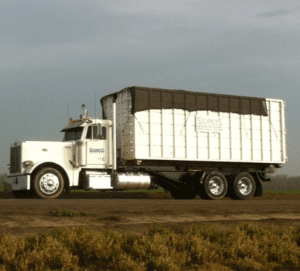 In December of 1984, Mike and Carol Evans purchased their first transfer truck, working under the name of Mike Evans Dump Truck Service out of Hub, California. They slowly built their business for the next few years, acquiring Del Jones Trucking in 1988 and G.N. Brooks Rock & Sand shortly after. By 1989, the Evans purchased property on 41 Highway in Lemoore, California, moving their business to the new location under the dba of Stoney’s Sand & Gravel. In 1999 the business was established as a limited liability company and is now known as Stoney’s Sand & Gravel, LLC. Over the years, Stoney’s Sand & Gravel has steadily grown to over 30 trucks, incorporating more transfer trucks, alongside a retail rock yard and two additional divisions; one being ready mix concrete and the other being a construction division which is run through GBA General Engineering, Inc, a General Engineering Contractor. GBA General Engineering, Inc. includes the installation of rock driveways and rock landscape, bark installation, decomposed granite driveways and installation, the building of house pads, clearing lots, grading and demolition work, supplying roll off boxes for your construction jobsite, and much more. The white and blue trucks have become familiar to the residents of the San Joaquin Valley – especially in Kings County where their office and retail yard reside. From the moment of establishing Stoney’s as a business, our number one goal has been to provide quality and friendly service to our local community, nearby counties and the whole San Joaquin Valley. We believe in maintaining integrity and fair business practices, traits upon which our company has been known from the very beginning. Our team maintains a sense of pride in the quality of service and materials we provide, along with an enthusiasm for continued growth in the future, and always striving to meet the needs of our customers. Most importantly, we realize that it is our reputation in our business dealings with our customers, our suppliers and our employees that will dictate our true success. For more information, please contact us through our web form or call us at 559-924-9229.